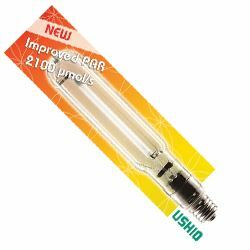 Ushio America has introduced its new HiLux Gro professional horticulture lamp line, a new and improved version of their HPS 1000W SE (single-ended) type. The improved lamp boosts the PAR output up to 2100 micromols, an increase of 15 per cent over the standard high performance lamp. For growers, this means increased yields and profits from the same SE fixtures. This new and improved lamp, made in Germany, holds the highest industry quality ISO 9001 standards with best in its class reliability over lifetime. Growers now have the option to boost their yields without additional cost and no need for upgrade to more expensive DE (double ended) fixtures. Age Old Nutrients has introduced their newest addition to their liquid nutrient line-up. Age Old Sweet Finish 0-4-4 is a liquid P/K finishing product designed to enhance the size and quality of flowers and fruits. The elevated levels of phosphorus and potassium are complimented by the addition of barley malt extract, which delivers much-needed complex carbohydrates to the root zone, stimulating increased microbial activity when the plant needs it most. When used during the last two to three weeks of a fertility program, Age Old Sweet Finish 0-4-4 will add bulk to flowers and fruits resulting in a bigger, better, harvest. 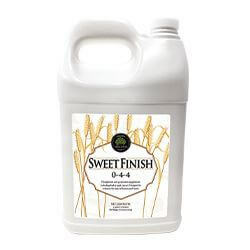 Age Old Sweet Finish 0-4-4 can be used in conjunction with the rest of the Age Old liquid line-up to create a complete, balanced plant nutrition program. 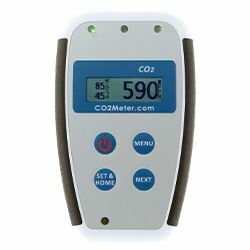 The SAN-0001 Personal CO₂ Monitor from CO₂ Meter protects you or your staff from dangerously high carbon dioxide levels indoors or in confined spaces. If high CO₂ levels are detected, the monitor will alert the user to seek fresh air with a combination of flashing, audible, and vibrating alarms. Low power consumption provides up to 48 hours of continuous use and data logging on a single charge. Small enough to fit on a lapel or shirt pocket, the SAN-0001 CO₂ Monitor uses non-dispersive infrared (NDIR) CO₂ sensing technology to provide long life, accuracy, and stability in daily use. Free data logging software is included. 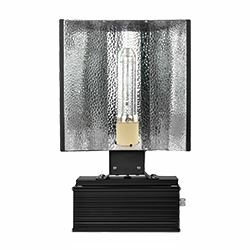 The Grower’s Choice Digital 315W CMH Fixture is the company's newest digital 315W ceramic metal halide complete fixture. 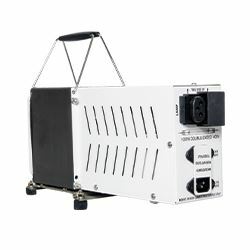 Utilizing cutting-edge 50/60-Hertz low frequency square-wave technology, the fixture can maintain lumen output higher than 95 per cent for more than 30,000 hours while maintaining the initial spectrum, ensuring both reliability and efficiency. Grower’s Choice CMH fixture is capable of operating at either 120V or 240V, making it ideal for home and commercial applications. Their Smart-Dim technology allows growers to dim and super-charge the lamp depending on the grower’s specific needs. Grower’s Choice offers the broadest range of 315W lamps, including the 3100K Full Phase, 3100K-R Red Enhanced, 4200K Day Light, and 10,000K Finishing. The Dutchpro Starter Pack for Hydro/Coco provides all the nutrients and supplements growers need for grow and bloom in one box, including one large bottle of Original Grow Hydro/Coco, one large bottle of Original Bloom Hydro/Coco, and one small bottle each of Take Root, Explode and Multi Total. Grow schedules and instructions are also included. This authentic Amsterdam-designed canal house starter pack is the perfect introduction to Dutchpro nutrients and additives and provides you with the opportunity to give the award-winning Dutchpro range a try at a significantly reduced price. Repower your fixture with the new Sun System AgroLED iSUNLIGHT T5 LED, a first in horticultural lighting. Using the T5 platform you can easily upgrade your lighting from fluorescent to LED by switching lamps. The iSUNLIGHT T5 LED is a 41W, 5,500°K, T5 HO replacement LED lamp and a superior choice for the propagation and veg cycles of your plants. 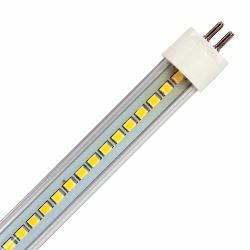 The iSUNLIGHT T5 lamp is an intelligent LED that is specifically designed to work with your existing T5 HO fluorescent fixture. The iSUNLIGHT T5 LED produces more than 5,100 lumens with only 41W of consumed power. These are environmentally friendly, mercury-free, grow lights. Exclusively available from Hydrofarm, the new 1000W SGO100DE magnetic ballast is a reliable, rugged and compact workhorse built to provide years of solid service while operating any 1000W double-ended lamp. As with the other ballasts in Hydrofarm’s SG line, the SGO100DE combines value pricing with excellent quality. The top and side venting assure effective heat dissipation and the rubber feet minimize vibration and hum. The ballast also features Hydrofarm’s patented Lock & Seal plug design, which allows electrical contact only when a seal is achieved. Choose this ballast for its versatile 120V/240V capability (120V cord included, 240V cord sold separately). CSA certified, two-year warranty.